With rumors of the "Unannounced Project" and Diablo 4 circulating around the community, we have to stop and ask — what comes next? We're going to take a look back at many of the loose ends and unfinished storylines from previous games to speculate about where future entries in the franchise could go. Kormac has been at the side of the Nephalem's since the very beginning of the hunt for the Black Soulstone and the fight against the Prime Evil. Along the journey, Kormac searched for sacred texts of his order, the Templar Order. The Templar had redeemed Kormac, cleansing him of his past sins, as well as his memories. As a Templar, Kormac found purpose in fighting for the Light and all that was righteous. While Kormac couldn't remember any of his past before being a Templar, he was very devout in following the Templar's teachings, since they had given his life meaning. It was during these studies that he found that his life as a Templar was a lie. The Templar Order didn't redeem criminals and convicts, as he believed — they kidnapped and brainwashed converts. He wasn't the flawed person he had been led to believe that he was, and doubt was cast over everything he believed in. The Templar were also revealed to be actively trying to collect weapons from the Angelic Host, in order to use them to further their own agenda. Upon reaching Westmarch to fight against the Angel of Death, Kormac wanted to bring the evidence he had discovered to the Templar's Grand Maester, so that the corruption within the order could be purged. While Kormac held out hope that the Maester wasn't complicit with the torturing and brainwashing of initiates, he eventually found evidence to the contrary. Kormac began to further question his Templar beliefs. He eventually resolved that only by confronting the Maester with the sins of the Order could his conscience be put at ease. 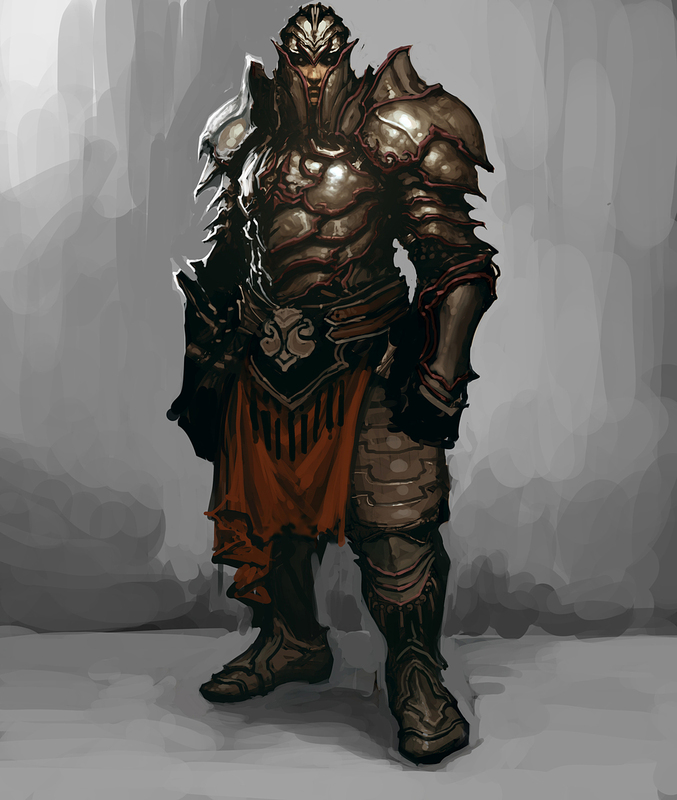 Upon reaching the Templar's main hall, Kormac was welcomed as a hero. Having helped defeat Azmodan and Belial, his conquests to safeguard humanity were legendary. While passing through the Templar stronghold, Kormac is confronted with even more evidence of the order's sins, as they were torturing new converts. When Kormac is finally given an audience with the Maester to confront him with the evidence of the Templar's crimes, the Maester turns on him. The Maester's grand vision was to convert all of humanity into Templars, so that he could lead them and control everyone in his blind and twisted interpretation of the Light. Only with the help of the Nephalem is Kormac able to face down the elite of the Templars and fight his way through to the Maester. In the final confrontation with the leader of the Templar, Kormac is able to find some small sense of justice in righting at least one of the wrongs the order had inflicted upon the world. After taking down the leadership of the Templar, Kormac begins a new quest: to search for and find every surviving Templar and free them from the order's brainwashing. How many Templar factions still exist within Sanctuary, and how many people will fall to them in the aftermath of Malthael's mass attack across the world? Could the Templar be a major force in the future, now that many cities — and possibly entire nations — are left defenseless? How far will Kormac's travels take him, and will he be able use the secrets he's learned to truly save others? There are endless possibilities for the Templar storyline to expand upon going forward. We've faced plenty of human enemies that have pledged themselves to the forces of Hell, but an entirely human faction with no connection to the Burning Hells or the High Heaven serving as an antagonist would certainly be an exciting new direction for Diablo. I am personally hoping that Lillith will come to us wanting our help finding Inarius in the burning hells, now that the prime evils are destroyed there is nothing stopping her, I would like to see a demon on the "good side" for once since we are basically her children. A few really neat things that could be included are the Necro's (since their capital was showcased in the original trailer) but they would be trying to stop us since we need to open a portal to the gates of hell. The Amazon's - (artwork showed their home island in the artbook) might need to go their for an artifact to open the portal. Lillith herself - might ultimetly have to kill her, but I think someone else will attempt that. Diablo was released after malthael was defeated though.So he is still out there with the other prime evils combined in his essence. Pretty sure it was implied that all the evils essences were separated upon release. So they're not combined anymore. 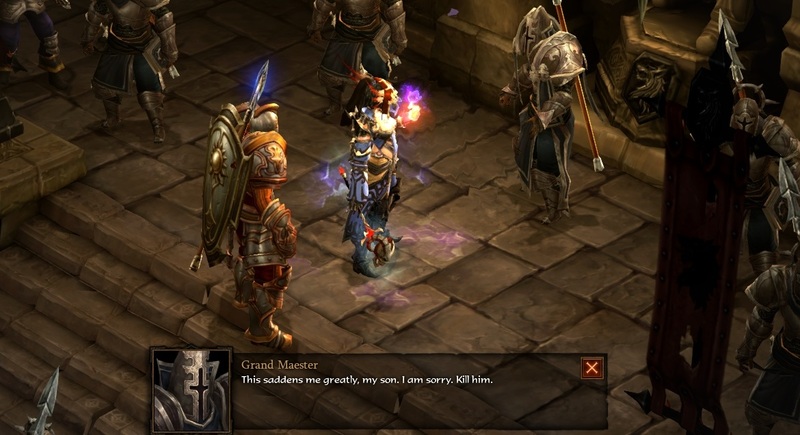 During the Diablo 3 2nd Anniversary Stream back in 2014, Brian Kindregan, lead writer, and Leonard Boyarsky, senior world designer, had shared that when/if Diablo was released from the Black Soulstone (they mentioned that Diablo wasn't necessarily freed after Malthael's death) he would be released again as the combined Prime Evil. While the Twitch VODs I think are gone, there might still be some videos of the conversation around somewhere. The big caveat is, that was there stance then. Both of those people are no longer at Blizzard, so those in charge of the next chapter of the story could very well change it because these comments aren't canon, they're just musings on a livestream. I always go back to the early Diablo talks Chris Metzen had at the first few BlizzCons as an example of the creative process changing. Back then, it was heavily hinted at that D3 would explore the World Stone, but that storyline was ultimately dropped after years of build up. Nothing about the next chapter of Diablo is set in stone, so bring on the speculation!